Official ticketing partner, Ticketmaster sells tickets exclusively via ticketmaster.com, Chiller locations (select events) OR in person at the Big Lots! Box Office located on the corner of Nationwide Blvd. and McConnell Blvd. For additional info, CALL (614) 246-2000. We do not sell tickets over the phone. There are no Ticketmaster fees (facility fee may apply) on tickets purchased through the Big Lots! Box Office. Checks are not accepted and we do not sell tickets by phone. subject to change due to event time changes, holidays or weather. Please call to confirm. No refunds or exchanges on tickets purchased for a Nationwide Arena concert or event. If an event is canceled or rescheduled, return to your original point of purchase. 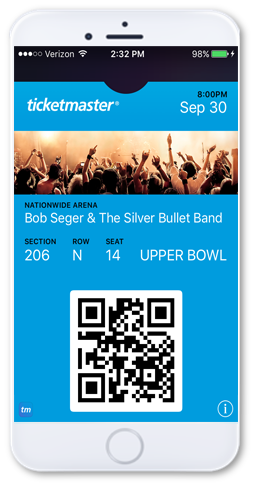 MOBILE TICKETING - Only Ticketmaster mobile-compatible tickets (generated by Ticketmaster and shown on a mobile device as a QR code, not a standard barcode ) will be accepted. Traditional print-at-home or PDF tickets MUST be printed in advance and presented on paper for entry. Valid tickets purchased through the secondary market can be reprinted for a non-refundable $10-$20 fee. PLEASE NOTE that Nationwide Arena does not accept PDF print-at-home tickets for some events. Sunday: 10AM until approximately two hours after posted event start time. StubHub, Vivid Seats, eBay, Craig's List, secondary ticket agencies or "ticket brokers" are not recognized ticketing agents. Tickets purchased from unauthorized agents can be counterfeit, stolen, or otherwise void and may not be valid for admission to the event. Websites other than nationwidearena.com, nhl.com/bluejackets or ticketmaster.com are not affiliated with the venue or team. Nationwide Arena is unable to honor, replace or refund invalid tickets. Invalid tickets will be confiscated and a report filed. A copy of the tickets/ report provided upon request. Nationwide Arena strictly prohibits ticket scalping and the resale of tickets. The box office is available to help with a variety of ticket issues. Have your photo ID, confirmation number and credit card used for purchase available to locate your order quickly. Tickets that can't be validated can be replaced with new tickets for purchase if available. For tickets purchased through Ticketmaster, contact the customer service Fan Support line at 1-800.653.8000 or CLICK HERE for additional CONTACT US info. If your tickets are lost or stolen, please contact the original point of purchase. For tickets purchased through Ticketmaster online or charge by phone, call Ticketmaster customer service at 800.653.8000. For tickets purchased through the Big Lots! Box Office, call us at 614.246.2000 or email to [email protected] with: date of purchase, the method of payment and number of tickets. How Can I See An Events' Seating Chart/ Stage Set-up/ GA Floor? Stage configurations vary greatly for concerts and events and are available for online viewing at Ticketmaster.com. Visit seating charts page for basic seating charts. Note: these do not necessarily represent a specific event and are subject to change. Most concerts are set up in an end-stage format where the stage is located on the west side of the building, between sections 101 and 117. If a concert is "in the round", the stage is centered on the floor. To determine where your seats are, keep in mind that seat #1 is on the right if you are facing the stage or ice. The number of seats in each row and number of rows (labeled alphabetically) in each section varies. Events with a GA (General Admission) Floor are set up as standing room only. There are no seats. Designated entry doors (and any adjustments to door times) for GA Floor ticket holders will be communicated in the weeks leading up to the event. Wristbands and GA FLOOR tickets are required for access to the floor. Can I Avoid Service Fees? Service fees are charged on all online and phone orders on a per ticket basis to cover the costs that allow Ticketmaster and Nationwide Arena to provide a range of convenient purchasing options. Fees vary by event and ticket price. 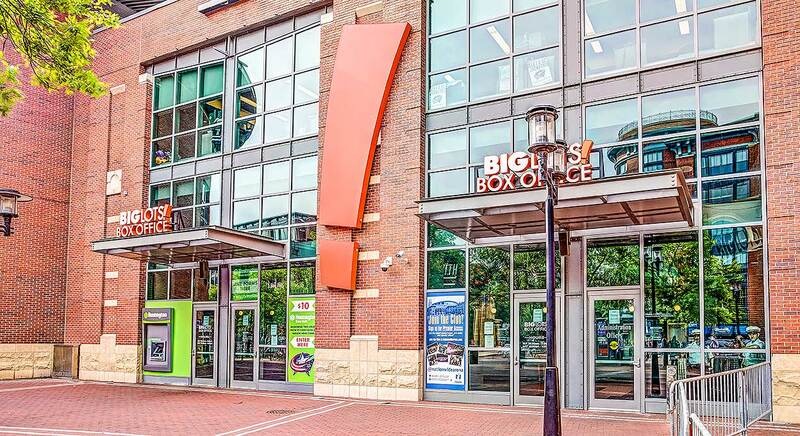 Purchasing tickets in person at the Big Lots Box Office at Nationwide Arena is the only way to avoid service fees. Tickets purchased through the secondary market must be printed. They will not scan from a mobile device. If you need valid tickets reprinted, the Box Office will print them for a non-refundable $10-20 fee. We cannot guarantee the validity of any ticket not purchased via Ticketmaster or the Box Office. What Is The Refund/ Exchange Policy? No refunds or exchanges unless a Nationwide Arena event is postponed or canceled. For tickets purchased through Ticketmaster, please contact the customer service line at 800.653.8000. How Do I Handle Mobile Tickets/ "Print At Home" Tickets/ "Credit Card Entry"? Mobile tickets generate QR codes that you pull up on your phone and take directly to the ticket scanners. We suggest you pull these up and add to your wallet in advance since large crowds can impact internet access. Print at Home tickets do not scan from a mobile device. Make sure to print these PRIOR to coming to the show. These are your tickets to take directly to the ticket scanners. If you share print at home tickets you must provide the most recent version or barcodes could be voided and tickets can only be reprinted for the original purchaser of record. Will call can be picked up at the Big Lots! Box Office located on the corner of Nationwide Blvd and McConnell Blvd. Make sure you have your photo ID and credit card used to purchase the tickets if you purchased through Ticketmaster. Will call tickets must always be left in the name of the individual picking up and will only be released to the name on the account/envelope with a matching ID; please plan accordingly. If you chose e-tickets when you ordered, they are mobile or print at home, not will call and you can proceed directly to entry doors. How Do I Know Who Will Be Performing At Nationwide Arena And When Tickets Will Go On Sale? Shows are posted on the Nationwide Arena website as soon as we have approval. Complete and accurate detail can be found on our event calendar OR call 614-246-2000 to inquire. 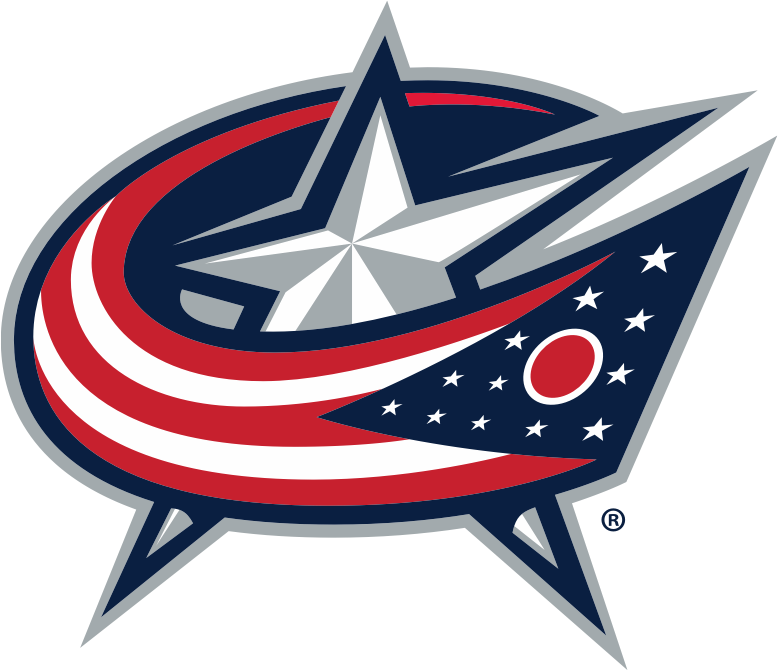 What Is The Children's Ticket Policy for Events At Nationwide Arena? Children UNDER two (2) years of age are admitted free of charge for all events as long as they sit on a lap. Age limit is subject to change. Why Do Some Of The Best Tickets Sell So Quickly And Better Tickets Sometimes Become Available Long After The Event Goes On Sale? When an event goes on sale, there are typically thousands of customers searching for tickets across multiple distribution channels. If 500 fans are simultaneously buying four tickets each, 2,000 tickets can be sold in just seconds. There is a common misconception that all shows sell out which is actually extremely rare. Most of the time tickets are available at face value until show day. Keep in mind, that at the very start of an on-sale, many seats may be held for several minutes as buyers browse and many will be released back into the pool. The system is set up to sell "best available" at the price level you select. Grabbing those for a hot show is the way to make sure you are not shut out. Tickets can also be released for sale as the event approaches if the artist or team no longer need tickets they held OR once the stage or event area is set up, the venue has a better idea about which seats are obstructed. Often, great seats are released at the last minute. Why Do I Need To Keep My Ticket Stub? Your ticket stub is proof that you are in possession of a valid ticket. You may be asked to present your ticket stub to verify your seat location. The ticket stub is also needed whenever a cancellation or rescheduled performance situation occurs. How Can I Get Backstage Passes/ Meet-N-Greet Access? Nationwide Arena does not issue or sell backstage passes to events. Backstage access is strictly limited and is arranged by tour management on a show-by-show basis. Guests who are seeking access backstage and/or to the event level may do so only with the appropriate credential. Guests who are found to be in these locations without proper credentials may be subject to ejection and/or arrest. Nationwide Arena does not issue or sell meet and greet passes to events. Backstage access is strictly limited and is arranged by tour management on a show-by-show basis. View our full Accessibility Policy. How does the ticket lottery work? The Big Lots Box Office conducts lotteries for most on sales to give each person an equal chance of being first in line. Approximately one hour before the on sale, we will distribute numbers to everyone in line. 15 minutes prior to on sale, one number will be drawn to determine the start of the line (you must be present at this time) and the numbers that follow will line up sequentially behind that starting number. All customers arriving after the starting number has been pulled will be placed at the back of the line. Issuance of a number does not guarantee a ticket. Ticket limits vary. For purchase with a credit card, please have your photo ID available.